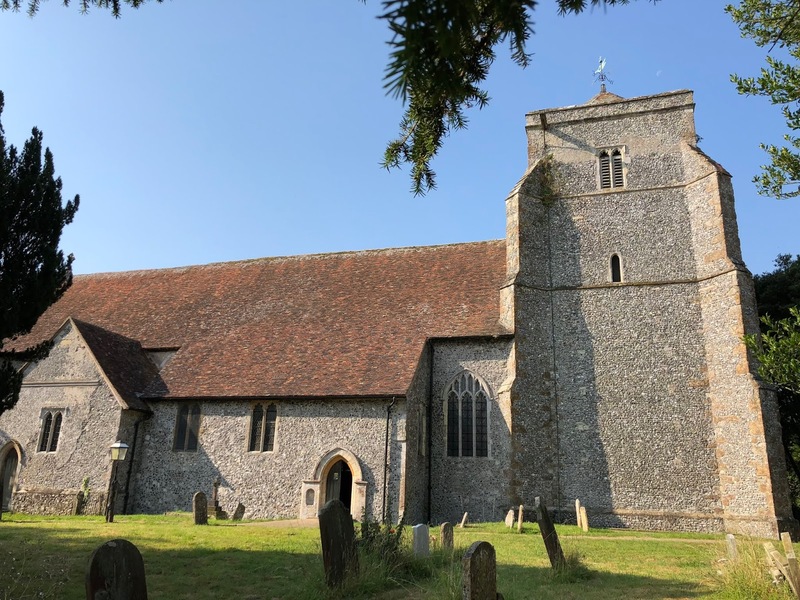 The church of St. Mary the Virgin in the tranquil village of Bishopsborne in Kent was the venue for a recording of music by Gottfried Finger (c.1655-1730). 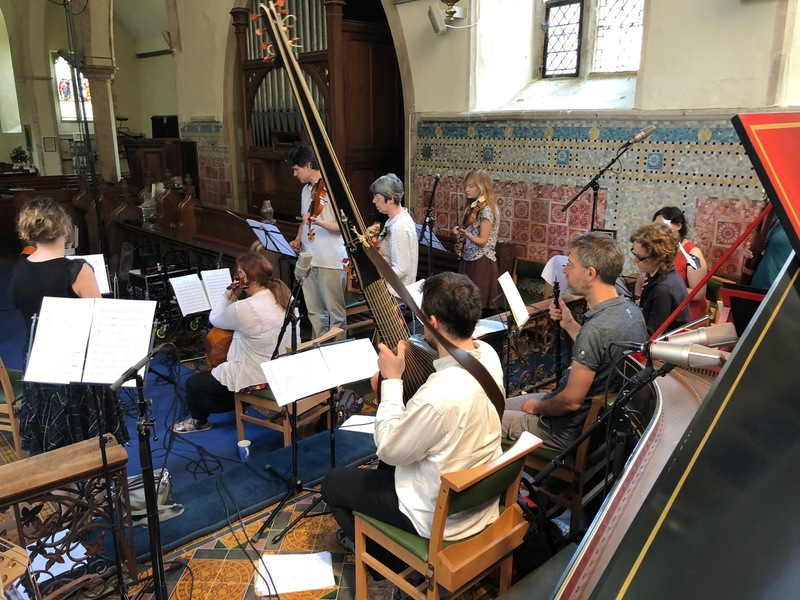 The recording was organised by Professor Robert Rawson - Professor of Musicology and Historically Informed Performance at Canterbury Christ Church University. The recording of music by ‘The Ingenious Mr Finger’ began on Friday 6th July 2018 with the piece with the largest orchestral forces: Sonata à 10, which featured two natural trumpets (Russell Gilmour & William Russell), timpani (Stephen Burke - N.B - the timpani part was written by Robert Rawson), two oboes (Mark Baigent & Cait Walker), taille (Belinda Paul), bassoon (Sally Holman), Violins (Tassilo Erhardt, Ellen O’Dell and Eleanor Harrison &; Ben Sansom, Amanda Babington and Hailey Willington), viola (Alexandria Lawrence), cello (Kinga Gaborjani), bass (Robert Rawson), theorbo (Alex McCartney) and harpsichord (David Wright). Other pieces to be recorded on the first day included two pieces entitled Sonata à 6, one from Finger’s time in London and the other from his time in Salzburg. Both featured two trumpets, the latter had a timpani part added by Robert Rawson. The recording engineer and producer was Rainer Arndt from Belgium.